There are a few important things to keep in mind as you start searching for a job in the field of operations management. Don’t be hasty Aim to find a job that will give you most responsibility. While the position will come with a learning curve, it will also make you a more valuable employee in the long run. Please take a look at the charts, before you read any further. Try to absorb the meaning behind the numbers. Does education plays a large role in compensation? Does experience plays a large role in salary? What is notable about the industry and compensation graph? Take a few minutes to think about these questions and see what hidden information those numbers hold. The ability to read between the lines is one of the most important things that an operations manager can do. This is something you will need to do on a daily basis. Now that you’ve done the exercise. Let’s delve into it. 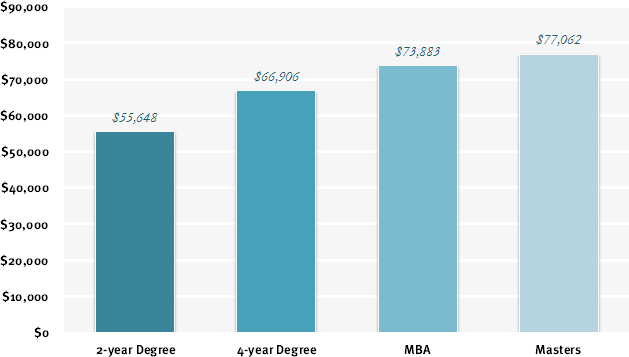 First, let’s notice how education gives you a large edge in salary compared to experience in this field. If you are getting MBA or Masters in operations management, you can pat yourself on the back. It would take you 20 years of experience to get a slightly lower salary just by working. This is of course a rough, aggregated date, but what it really says is: education will get you a higher position that will give you a higher salary compared to just getting experience in the field. 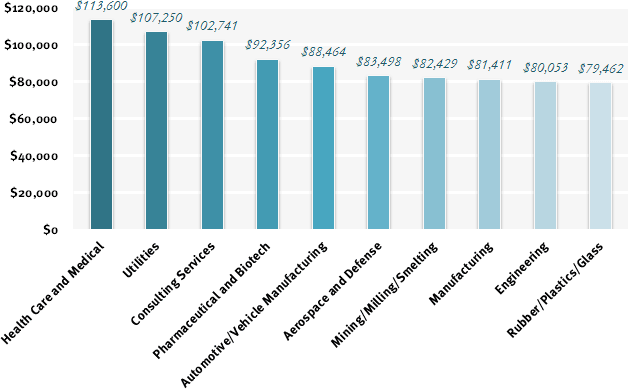 Under the ‘Compensation based on Industry’ chart, you can see that between the #1 industry (Health care) and the #6 industry (Aerospace and Defense), the salary gap is $30,000 a year (or approximately 36% less), just based on one factor: field. All fields are not equal. Making a proper selection of what you want to do in the ops career and focusing your job search on one or two specific fields, is not only smart thing to do, but mandatory. I have good news for all of the aspiring operations managers. There’s a very high demand for your services. It is one major in business schools that a lot of people and even students don’t think about or even know about and yet almost every business has a need for it. This results in a high demand for operations managers. Unlike finance majors who continue struggling after the crash, demand for operations managers is still growing due to the increasing complexities of supply chain, online logistics, international trade and a number of other factors. The higher the complexity, the more there is a need for a person to make sure that everything runs smoothly. According to Career Builder’s current statistics, for every 87 job seekers, there are 100 openings in operations management field. This is a huge discrepancy in supply and demand; especially in the economy we are in, where in some fields there are hundreds of candidates for one position. As operations managers entering the workforce, you have one of the best job opportunities available to you. This is why you should focus on the field that can get you further, give you the most experience, and will give you the most room to grow. Be aware of what’s happening in the job market. Follow where the new trends are moving, keep your fingers on a pulse and you will not be disappointed with a payoff in terms of great job and bright career path. Next Article will examine in detail why experience VS education in operations field has such a large impact on long term career. 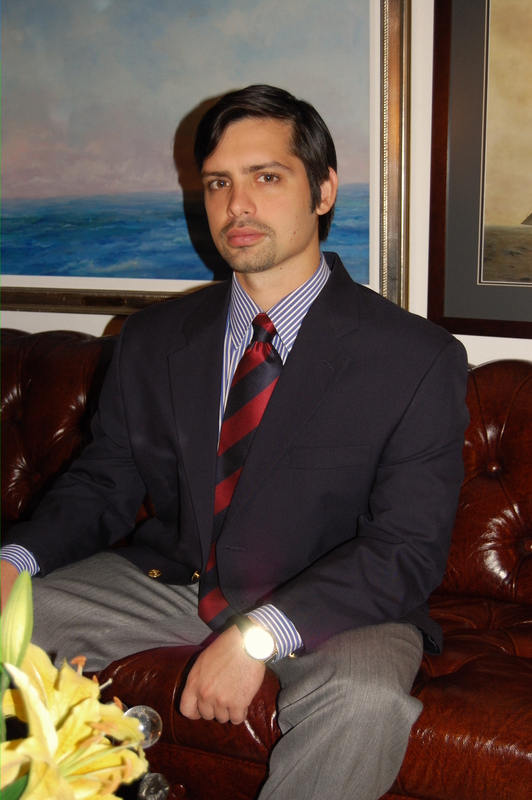 Artyom Malkov is the author of “Interviews with Masters of Operations Management.” He is one of the founders and the current CEO of OperationsManager.com.